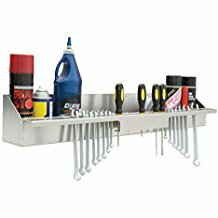 TowRax provides all the shelves, racks, cabinets, hooks, and containers for all of your storage needs in your enclosed trailer. Not only do they look sharp on the inside of your trailer, they keep you organized with your busy lifestyle. 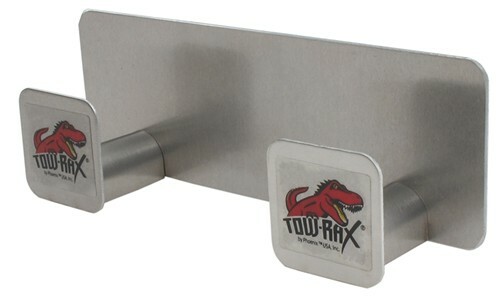 TowRax are made exclusively out of aluminum and stainless steel. 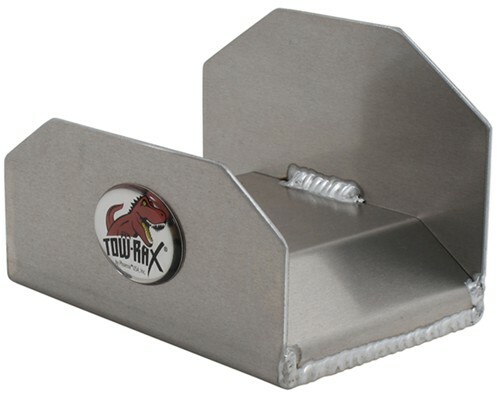 TowRax are tough, durable and functional. 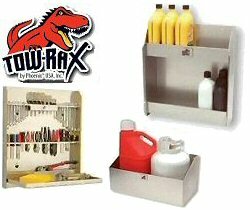 TowRax also works great in any garage, shed, shop, or workspace! 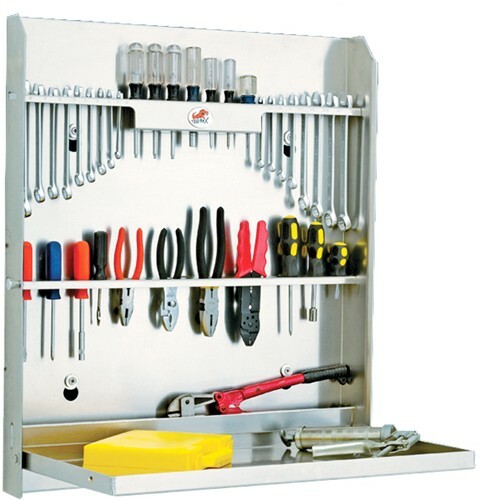 We stock the majority of the line in our parts department including helmet racks, multiple shelves and cabinets, paper towel holder, hangers, gear racks and more. If there are other racks that you need, we can order any additional styles at any time.